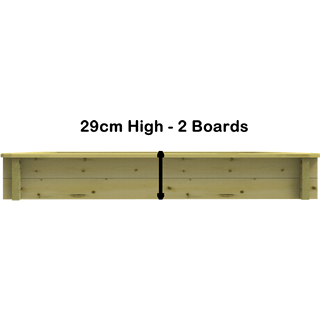 All Garden Paradise Wooden Raised Garden Beds come in a variety of different shapes and sizes. These 29cm high Raised Garden Beds are perfect for creating an allotment in your very own garden. If used on a concrete base a 29cm high wooden garden bed would be perfect for creating your own fresh salad bar, why not try growing lettuces, onions, radishes or even potatoes.